Why is Given2 the best service to celebrate your event with? 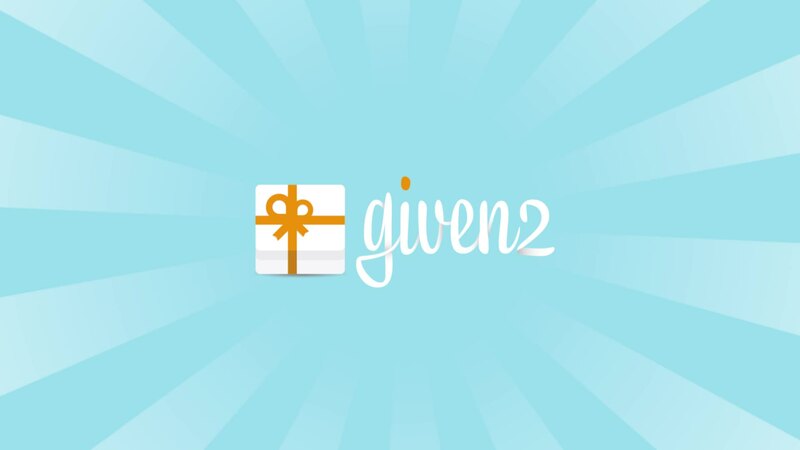 Given2 has been conceived to solve a modern problem: create a website for your event and receive the gifts you really wish for, at the lowest possible price! 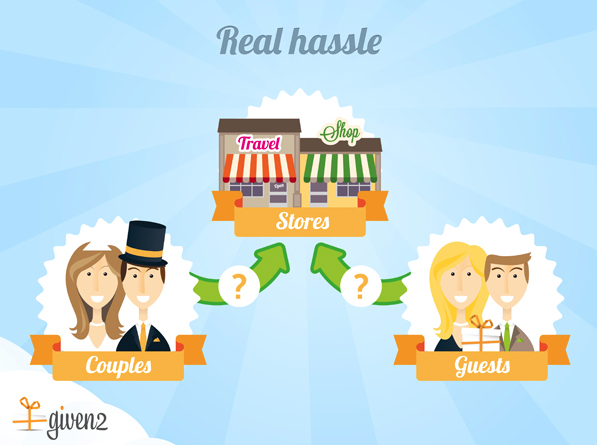 Given2 is the only online gift list service with which you don’t have to pay any commission nor middlemen fees. YOU choose how much you spend. In fact, you have free access to every feature and can start creating the personal website of your event right now! Once the webpage is ready, you can think of enabling the gift receiving service, at only 1€ per day and for how many days you wish for. Apart from that, everything is and will always be free! Given2 is made in Italy! Let’s make a simple simulation of the costs that our service asks to create a wedding gift list, compared to the average prices of the competitors. Important: the user receives the money on THEIR bank account, unless he adds to their list products from e-commerce stores. In that case, the guests can directly buy the items selected by the user with no extra costs. Important: the money is sent to the company’s bank account. The company acts like a middleman, and charges you up to 5€ per gift for transferring the money into your own personal bank account. Gift lists for any event, not only weddings! Baby shower, Christening, Birthday, Graduation, Raise Funding, Wishlists and so on and so forth ! We don’t set limits to your imagination! 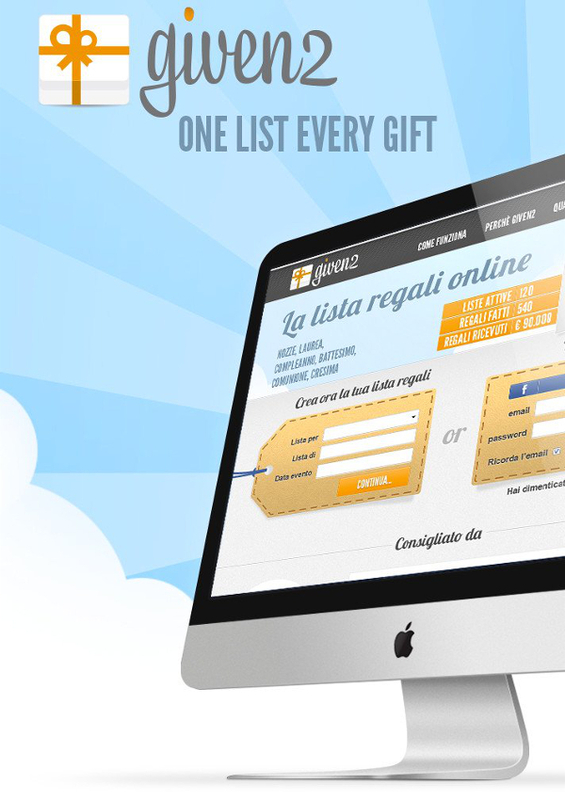 Why choose an online gift list rather than a traditional one? Unlimited choice of the products: thanks to the built-in search engine, Given2 helps you find all the best offers on the market! It’s so easy to add them to your gift list, then! Affordable: our search engine helps you save up to 50% discounts on the items you wish to receive. Also, our social network helps you find ideas and advice! Easy and quick: no travels around, no check-out lines at the cashier. You can add to your list anything you want with just one click, and at the same time you’ll be able to keep an eye on the gifts and payments progress reports. Time-saving: no timetables, no appointments, no queues. Any time is the right time to dedicate some time to your gift list! It doesn’t matter if you are checking your Given2 webpage from home, from the work pc or on-the-go using your smartphone! No geographical limits: you can communicate with every guest of yours real-time thanks to our messenger service and, of course, you’ll receive the gift amounts directly into your bank account, even if your guests are sending you money from abroad! Comfy: the items are delivered where you want, allowing you to save time, gas and energy. Privacy-sensitive: YOU decide with whom your info is shared.